I’ve been having quite a good week – sold a few pens, bought a few more – but you never know when disaster is about to strike. I’d sent a nice Conway Stewart 286 and a Blackbird to a customer in Chicago and I was anticipating hearing from him that he’s received his pens. And he did. In bits. Over the last three years I’ve sent out in excess of 1500 pens. I’m careful about packing – stiff postal tube, plenty of bubble wrap, all held securely with parcel tape. I’ve never had a pen damaged before. 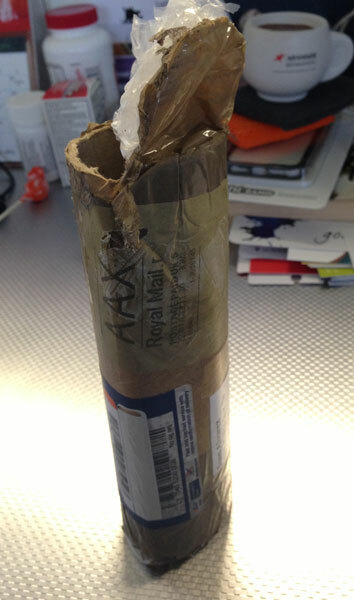 One or two have “gone astray” as Royal Mail like to put it, but no damage. Someone has to have driven over the package to crush it like this. There’s no other explanation. 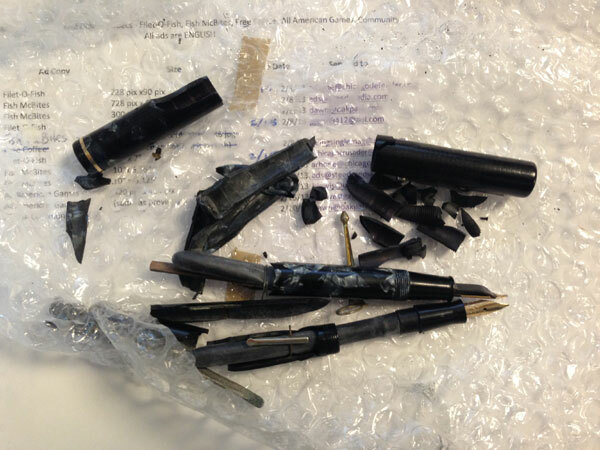 The poor customer was devastated, seeing his long-awaited pens in fragments. Of course all my packages are insured and I was able to refund him right away, but that’s not the point. The point is that these pens had survived a very long time, one around seventy years, the other more like eighty, only to be destroyed because someone was too careless to do their job properly. 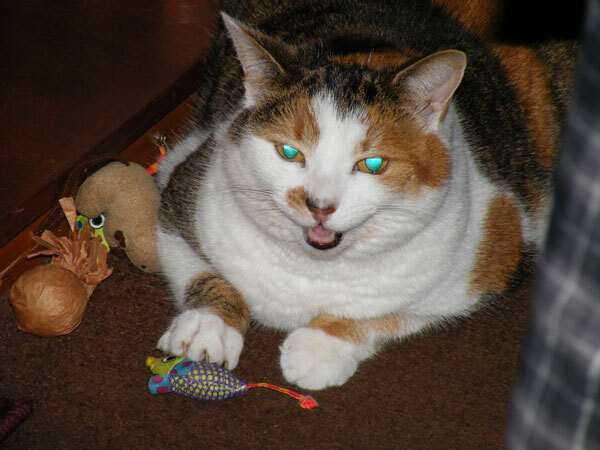 My assistant is very cross about it and plans to bite the postman. That’s almost unbelievable! From my experience of your packaging, Deb, I would have said that it is bomb-proof…maybe the postal services should be giving lessons to the military! My thoughts go out to the poor chap who received this mess. I think they had a few runs at it with a forklift! OUCH !!! that must be about as bad as it can get., heart breaking enough when you break a pen by your own hand, it happens, but when all possible steps are taken t ensure safe passage, devastating. It was a bit of a shock for me and devastating for the poor customer. It must have been quite a shock for the poor buyer. Oh Deb that is a shame. It looks like the only parts still viable are the sections, feeds and nibs. I know it won’t make up for the destruction but those can be re-housed into new bodies and write on. Cold comfort but still something. As it happened, the buyer wanted the nibs, so at least he had that compensation for his disappointment.